The way things are currently headed with the climate, humanity should really figure out how to get to Venus, not Mars. Earth is heating up so much from global warming that a runaway effect is going to turn our planet into another Venus. So, either way, we desperately need to figure out how to live on the surface of a world that hot. To make matters worse, everyone needs to get to work on this much sooner than most people might imagine. The droughts and wildfires we see on the rise all over the world are but a frightening herald of the overwhelmingly apocalyptic nightmares that could come. If the Earth is our mother and Mars is our father, then Venus must be our aunt. Along with uncle Mercury, that makes up all the terrestrial planets surrounding grandfather Sun. This is all very important because the planet Venus has the densest atmosphere of the four terrestrial bodies in that particular celestial configuration. This consists of more than 96% carbon dioxide. Fortunately, Earth is still only at about 1% and rising. So, Venus is still much, much hotter than the Earth is. The mean surface temperature of the former is currently 800 °F more than the latter. This actually makes Venus the hottest planet in the Solar System even though Mercury is the closest to the Sun. 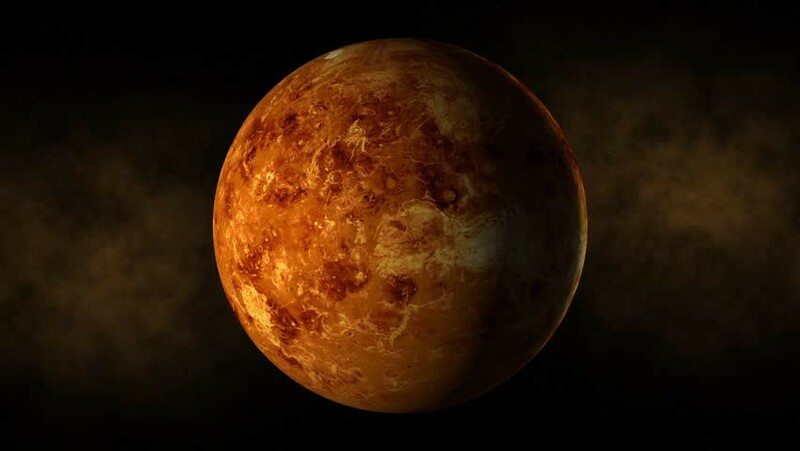 As a result of the carbon rich atmosphere on Venus, the planet is blanketed by a thick opaque layer of highly reflective clouds of sulfuric acid that rain down on the surface. Although Venus had water-filled oceans in the past, these have long since evaporated and vaporized away as the surface temperature rose due to a runaway greenhouse effect. As our species relentlessly pumps more and more carbon dioxide and methane into the atmosphere we can expect to see the Earth becoming more and more like Venus in the not too distant future. However, this is only part of what I mean by our Venusian fate though. Our burgeoning Type I civilization, may or may not escape the problems of the climate crisis as we progress out of Type 0, but we will undoubtedly become an interplanetary species in the process. We are destined to live on multiple worlds. It just turns out that it will be easier to go about colonizing Venus than it would Mars. The fact is that it is simply much easier and far less costly for people to go to Venus rather than Mars. For one thing it’s just closer, so depending on the launch window the round trip could be anywhere from to 30 to 50% shorter. Venus is also closer to the Sun, which means that there would be about four times the amount of solar energy that would be available for use in providing power. It also has a thicker atmosphere, which would be essential for numerous reasons. Plus, the gravity on the surface of Venus is much more comparable to that of Earth than that of Mars. This will also be crucial to long-term colonization. Ultimately, what I’m getting at is that rather than terraforming Mars and learning to cope with the problems our descendants would inevitably face there, they will instead have to figure out ways to contend with the excruciating heat and pressure on Venus. The way it currently stands, people would be cooked and crushed to death on the surface unaided by the innovations that will need to be made. There will undoubtedly be something like vast series of super-high-tower structures that place people at much more tolerable altitudes. Then again NASA has already discussed the possibility of cloud cities. HAVOC, the High Altitude Venus Operational Concept, might even debut in less generations than we might think. Either way, learning how to sequester carbon out of an atmosphere would not only help us live on Earth in the world of today but also to live on Venus in the world of tomorrow.